The Blairite Third Way, as chief ideological frame for social democratic and labour parties during this era, is a reflection of both confusion about, and collusion with, the neoliberal agenda. It was a scene that was set in Australia by the Hawke-Keating Labor government, which saw a program of privatisations, financial deregulation, and a weakening of collective bargaining for workers. The Howard government built on this and went on to perfect the art of exclusion, succeeding in spreading the story that the excluded, in Forrester’s prescient words, “really take up too much space” and “are not excluded nearly enough”. People seeking safety in Australia, fleeing the violence of war or persecution, were prime targets in the battle against the excluded. They were, quite literally, “outside”. Nothing was easier than to construct them as sub-humans and potential terrorists who deserved to stay locked out of our lucky country. But it was also this “outsider” status that was ascribed to First Nations communities, as if they were emblematic of the very “failed states” the asylum seekers were fleeing, and yet blamed for. The exclusion trick worked a treat for the purveyors of neoliberalism. Low paid workers were told that they should begrudge the income support payments made to people who experience unemployment; told repeatedly that it was their taxes that were being used to prop up the lazy while they were forced to work hard. Removed from the neoliberal lens completely were the very wealthy and the large corporations. They were unquestioned and unquestionable. The battle was framed as one between the virtuous working class (which, through a deft sleight of hand, included millionaires and billionaires; anyone in fact except the people who needed income support) and the vice-laden “underclass”. Unions, according to this skein of lies, were constructed as being somehow extraneous to the working class. As long as this discourse was in the main accepted, governments could freely put the boot into people experiencing exclusion whilst undermining the collective capacity of unions to protect the interests of working people who were being increasingly exploited and excluded. First Nations people, significantly, were subjected to the controls and punishments of the various iterations of the Northern Territory Intervention. Compulsory income quarantining was rolled out, initially in First Nations communities, and then in areas where there are high concentrations of people who bear the brunt of inequality and unemployment. Commenting on the Northern Territory Intervention, Yolngu elder, Dr Djinyini Gondarra said: “People are sick and tired of being controlled. When people are sick and tired of control they just give up.” The treatment of First Nations communities, of people seeking refuge, and of all people who are socially, economically and politically excluded, is presented, in the neoliberal discourse, as a necessary means of changing individual (dysfunctional) behaviour. This was predicated on the lie that it is individuals, rather than social structures, that need to change, and that therefore those who are excluded have actually excluded themselves. All is well except for the immoral and unwell. But even if we were for a moment to accept the lie and believe that it is individuals who must change, the reality is that the dismal apparatus that is rolled out against the excluded is not even designed to achieve any positive change in their lives. It achieves, in some instances, compliance as its own end, but it does not achieve, for example, employment, safety, economic growth or social cohesion. It achieves exactly what Dr Gondarra describes: “When people are sick and tired of control they just give up.” Paternalistic programs are engines of despair. Which is why, if any government is serious about fighting inequality instead of boosting and buttressing it, it must start by listening to the people who bear the brunt of inequality. People experiencing exclusion are systematically made to feel that they take up too much space. The neoliberal fantasy is still being broadcast. People are still being brutally excluded and blamed for their own exclusion. No government will succeed in addressing inequality without listening to and learning from the people who know its inner working better than anyone. It’s time to make space for the stories that are silenced. Martin Luther King noted that “a riot is at bottom the language of the unheard”. It is time that this language be taught to legislators and policy-makers. Working people, including the residualised, were shattered by a neoliberalism on steroids and deeply divided by its Blairite cousin, neoliberalism dressed up as social democracy. As unemployment and underemployment became a constant and familiar reality and as the state began framing social goods as a scarce resource to be enjoyed by some and not by others, deep rifts were introduced or exacerbated. These were further deepened by the state’s role in attacking unions and restricting their ability to organise, educate and agitate, along with the labour market deregulation that has led to a heightened atomisation of the working class. Just as division begets defeat for the working class, unity is the precondition for victory in the struggle to change the rules. No one should be surprised that the rules are stacked against working people. They were made that way. The historic mission of the union movement is not simply to eliminate the unfair rules, but to create rules that deliver a better society for working people, based, not on the practice of exclusion but of solidarity. Solidarity is the shared awareness that embedded in the diversity of our stories is a common ground of human experience and reality. It is the opposite to exclusion. The exploited are no longer separate from the excluded. The success of the neoliberal restructuring of the economy has erased this dividing-line. Workers taking to the streets demanding that the rules be changed, are also changing the story we have been taught about the supposed necessity and rightness of inequality and exclusion. Working people have been not only economically but politically excluded. The neoliberal attacks on the public sphere, ranging from Centrelink to public schools to the public broadcaster, are proof that excluded still “really take up too much space” and that what remains of the commons must be carved up and sold off or, better still, given away to the deserving rich to further enrich themselves. The champions of inequality hate and loathe the public sphere. It reeks, to them, of the promise of democracy. 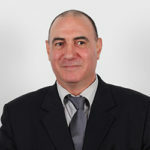 About the author: Dr John Falzon is senior fellow, inequality and social justice at Per Capita. He was national CEO of the St Vincent de Paul Society from 2006 to 2018. Dr John Falzon is senior fellow, inequality and social justice at Per Capita. He was national CEO of the St Vincent de Paul Society from 2006 to 2018.